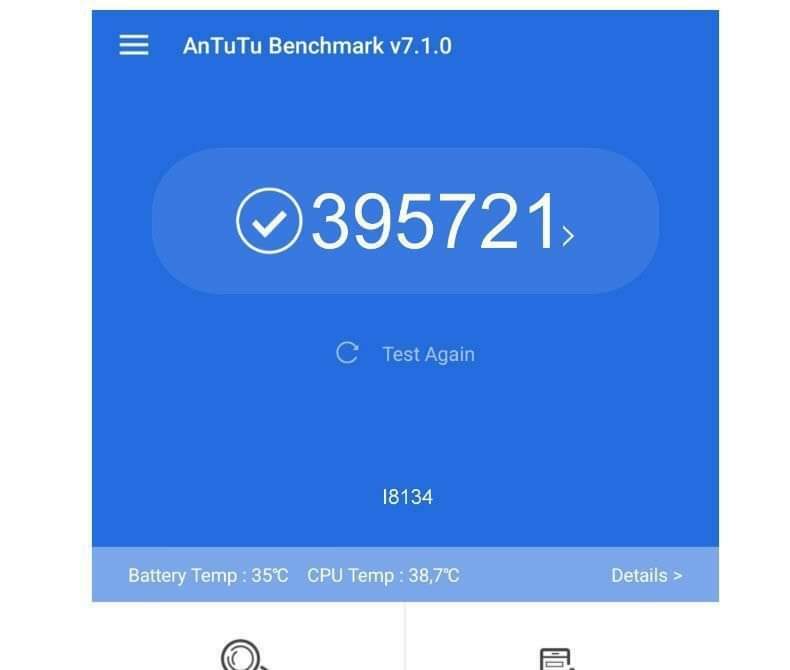 A Twitter-based leaker has posted an image suggesting that a heretofore-unknown device has achieved a score of 395,721 on Antutu Benchmark. Based on this stellar result, and on the model number of the apparent device in question, the leaker asserts that it is the Sony Xperia XZ4 running on the latest Snapdragon 855 processor. This image has also recently made it onto SlashLeaks. A Twitter user named I_Leak_VN has posted an image of an apparent result generated by Antutu Benchmark. It shows that a device with the model number I8134 has achieved a total score of 395,721 in this series of mobile device speed and performance tests. This is particularly striking as the current leader on Antutu's latest rankings, the super-powered gaming-oriented Nubia Red Magic Mars, is associated with a score of just over 320,000. The Red Magic Mars is powered by the 2018 Qualcomm Snapdragon flagship, the SD 845. On the other hand, this new listing on the Antutu rating system is yet to actually appear anywhere on its website. Should it prove to be genuine, it may be possible that the score shown is what the next generation of SD premium chipset, the SD 855, can achieve. I_Leak_VN goes so far as to imply that the result is associated with the Sony Xperia XZ4, which is said to be the first device to be powered by this processor. The 'Antutu score' has also now been posted to SlashLeaks, which also links it to the XZ4. Then again, this indication is based on not much more than the ultra-high (and unverified) score, in addition to the model number. It is somewhat possible that it refers to a Sony device, as those of the XZ3 went along the lines of Hxxxx. However, this preliminary indication of what the device may be able to do requires further verification with more concrete information in the future.